Background: In spite of several national nutrition intervention programs that have been in operation since the past four decades, undernutrition continues to be an important public health problem in India. Aim: The aim of the present study was to assess the trends in food and nutrient intakes and nutritional status of children in India below 5 years of age. Setting and Design: A community-based, cross-sectional study was carried out in ten National Nutrition Monitoring Bureau states by adopting a multistage random sampling procedure. Methods: Data were collected on the household (HH) socioeconomic and demographic particulars, and anthropometric measurements of the children, such as their length/height and weight, were noted. A 24-h dietary recall method was used for assessing dietary intake. Results: Intake of all the foodstuffs except pulses, vegetables, and fats and oils declined over a period of time (1975–1979 to 2011–2012) while the intake of all the micronutrients except Vitamins A and C declined during the same period. The prevalence of undernutrition, i.e. underweight, stunting, and wasting has declined from 76%, 82%, and 27%, respectively in 1975–1979 to 42%, 44%, and 19%,respectively, in 2011–2012 among 1-5 year children. The severe form of undernutrition has also declined during the same period. The prevalence of undernutrition was significantly (P < 0.01) higher among children of illiterate mothers, those belonging to lower socioeconomic status, and those living in nuclear families. Conclusions: The prevalence of undernutrition declined over the period despite the decrease in food and nutrient intake. However, the pace of decline was slower and it was attributed to improved health-care services coupled with control of communicable diseases and increase in the HHs income. Further efforts are needed to improve the literacy of parents, environmental and personal hygiene, along with the food security of HHs through a public distribution system. Introduction: Systemic Lupus Erythematosus (SLE) is an inflammatory autoimmune disease where an interplay between acute phase proteins and cytokines are involved in disease activation. Aim and Objectives: This case control study was performed to investigate interrelationship between high sensitivity C-reactive proteins (hs-CRP), Interleukin-6 (IL-6) levels and disease activity among SLE patients. Materials and Methods: One hundred forty one clinically diagnosed SLE cases were included and disease activity was noted by SLE Disease Activity Index (SLEDAI). Serum IL-6 levels were measure by cytokine multiplex assay. Serum hs-CRP, C3 and C4 levels were measure by nephelometer. The Pearson correlation test was used for correlation between hs-CRP, Il-6 and SLEDAI. Results: Based on SLEDAI, 126 patients (89.4 %) had active disease and 15 patients (10.6%) had inactive disease. Mean hs-CRP levels in SLE patients were significantly higher (12.1+ 11.5 mg/L) than controls (2.41+ 1.37 mg/L) (P < 0.0001). Hs-CRP levels among active SLE were significantly higher (13.5+ 11.4 mg/L) as compared with inactive SLE (4.4 + 2.9 mg/L) (P=0.0002). Similarly, IL-6 levels in SLE patients were significantly higher among active SLE (26.9 + 15.5 pg/ml) as compared with inactive SLE (13.9+ 10.2 pg/ml) (P=0.0001). An inverse correlation between Il-6 and hemoglobin levels between active and inactive SLE was noted (r=-0.46, P <0.0001). Conclusion: This study suggests a good correlation between hs-CRP, IL-6 and SLE disease activity indicating their direct involvement in inflammatory conditions associated with disease. Background: Tumors of the pituitary gland and sellar region represent approximately 10–15% of all brain tumors. Pituitary adenoma (PA), the most common pathology of the pituitary gland, can be effectively subclassified only with the help of immunohistochemistry (IHC). This is important and needed for individual patient management. Aims and Objectives: The objective of the study was to analyze the importance of intraoperative imprint smear cytology and correlating with final histopathological diagnosis. Furthermore, to classify the different types of PA with the help of IHC, prolactin (PRL), adrenocorticotropic hormone (ACTH), and growth hormone (GH) and to predict the benign, atypical, or malignant nature of the tumor with the help of prognostic marker Ki-67. 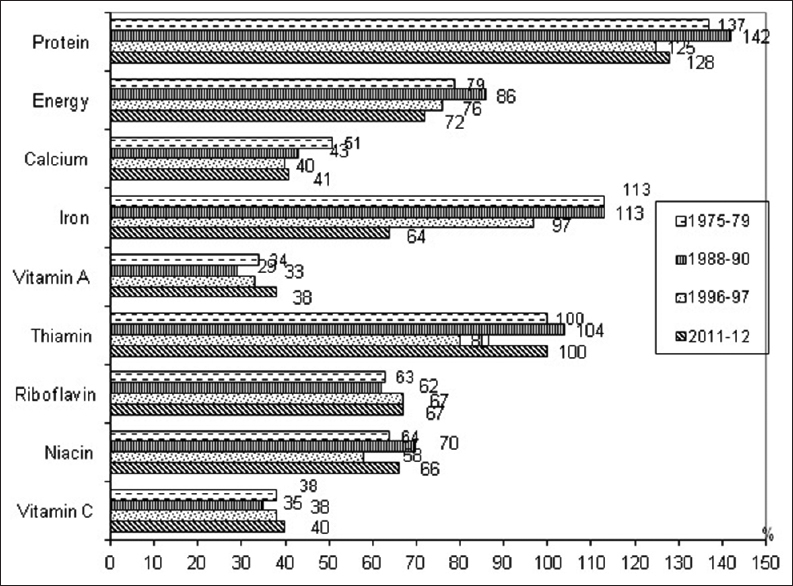 Materials and Methods: A prospective study was done in 34 cases. The patients whose pituitary gland samples are referred from the endocrine and the neurosurgery department to the pathology department for histopathological examinations were selected. We have studied the clinical features, radiology and touch imprint cytology, histopathology, and IHC with the help of PRL, ACTH, GH, and Ki-67 of PA over 2 years. Results: In our study, we had 32 cases of PA of 34 cases over a span of 2 years. We have seen that there is a correlation between cytological and histological diagnosis of the subtypes of PA in 62% cases, and the Kappa statistics show a moderate extent of agreement (Kappa - 0.320, 95% confidence interval = 0.031–0.609). Ki-67 when compared to the radiological grading showed a high degree of comparability (Chi-square test: P < 0.001). All cases with invasion had a higher Ki-67. On using the Fisher's exact test, we found that the Ki-67 expression with GH-producing adenomas and ACTH-producing adenomas was comparable (P = 1.000) while in PRL-producing adenomas too this was not significant (P = 0.269). Conclusion: PA can be effectively classified with the help of IHC. Intraoperative cytology is important in diagnosing PA, but histopathology remains the gold standard in diagnosing and differentiating PA from other pathologies of the pituitary gland. The radiological grading together with immunological classification and the prognostic markers of Ki-67 is important in deciding the benign or atypical nature of the adenomas thus helping in better patient management. Background: Despite an increasing emphasis on workplace-based assessment (WPBA) during medical training, the existing assessment system largely relies on summative assessment while formative assessment is less valued. Various tools have been described for WPBA, mini-clinical evaluation exercise (mini-CEX) being one of them. Mini-CEX is well accepted in Western countries, however, reports of its use in India are scarce. We conducted this study to assess acceptability and feasibility of mini-CEX as a formative assessment tool for WPBA of surgical postgraduate students in an Indian setting. Methods: Faculty members and 2nd year surgical residents were sensitized toward mini-CEX and requisite numbers of exercises were conducted. The difficulties during conduction of these exercises were identified, recorded, and appropriate measures were taken to address them. At the conclusion, the opinion of residents and faculty members regarding their experience with mini-CEX was taken using a questionnaire. The results were analyzed using simple statistical tools. Results: Nine faculty members out of 11 approached participated in the study (81.8%). All 16 2nd year postgraduate surgical residents participated (100%). Sixty mini-CEX were conducted over 7 months. Each resident underwent 3–5 encounters. The mean time taken by the assessor for observation was 12.3 min (8–30 min) while the mean feedback time was 4.2 min (3–10 min). The faculty reported good overall satisfaction with mini-CEX and found it acceptable as a formative assessment tool. Three faculty members (33.3%) reported mini-CEX as more time-consuming while 2 (22.2%) found it difficult to carry the exercises often. All residents accepted mini-CEX and most of them reported good to high satisfaction with the exercises conducted. Conclusions: Mini-CEX is well accepted by residents and faculty as a formative assessment tool. 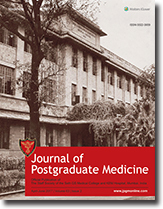 It is feasible to utilize mini-CEX for WPBA of postgraduate students of surgery. Background and Objectives: Urban and rural India are both going through health epidemiological transition and will soon face huge burden of noncommunicable diseases (NCDs). Information on the status of NCDs in tribals is limited. Although the prevalence of hypertension in scheduled tribes (STs) has been studied in several states by the National Nutrition Monitoring Bureau, tribe-specific data are very scanty. The objective of this study was to generate data on the status of hypertension and diabetes, the two objectively measurable NCDs in Katkaris, the dominant ST in the Raigad district of coastal Maharashtra. Methods: The study was conducted in 410 adult Katkaris (women 219) of both sexes of ≥18 years of age in three adjoining tehsils of the district. Using the Institution Review Board approved protocol; information was obtained on sociodemographic parameters, educational level, dietary pattern, and substance abuse. Prevalence of overweight, hypertension, and diabetes was measured using standard field-based procedures and techniques. Results: Katkaris, who are mostly landless manual laborers, subsist on a protein-poor, imbalanced diet. About half of women and one-third of men have body mass index (BMI) <18.5 kg/m2, an indication of undernutrition. On the other hand, about 2% of participants were obese (BMI ≥30 kg/m2). The overall prevalence of hypertension and diabetes was 16.8% and 7.3%, respectively. Hypercholesterolemia was recorded in about 3% of the participants. Interpretation and Conclusions: Prevalence of diabetes and hypertension in Katkaris is still lower than that of urban and rural populations, closer to the latter. This may be due to the absence of known risk factors such as obesity, sedentary lifestyle, and hyperlipidemia in this community. Fast acculturation of the STs suggests that NCDs will soon become a major health issue in them too. It is time to launch a multicentric national study to gather baseline information on the status of NCDs in STs. The current classification of both diabetes and antidiabetes medication is complex, preventing a treating physician from choosing the most appropriate treatment for an individual patient, sometimes resulting in patient-drug mismatch. We propose a novel, simple systematic classification of drugs, based on their effect on adenosine monophosphate-activated protein kinase (AMPK). AMPK is the master regular of energy metabolism, an energy sensor, activated when cellular energy levels are low, resulting in activation of catabolic process, and inactivation of anabolic process, having a beneficial effect on glycemia in diabetes. This listing of drugs makes it easier for students and practitioners to analyze drug profiles and match them with patient requirements. It also facilitates choice of rational combinations, with complementary modes of action. Drugs are classified as stimulators, inhibitors, mixed action, possible action, and no action on AMPK activity. Metformin and glitazones are pure stimulators of AMPK. 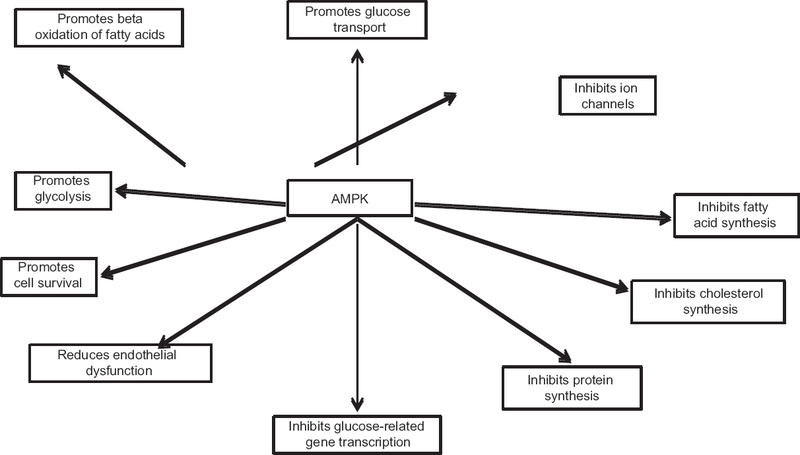 Incretin-based therapies have a mixed action on AMPK. Sulfonylureas either inhibit AMPK or have no effect on AMPK. Glycemic efficacy of alpha-glucosidase inhibitors, sodium glucose co-transporter-2 inhibitor, colesevelam, and bromocriptine may also involve AMPK activation, which warrants further evaluation. Berberine, salicylates, and resveratrol are newer promising agents in the management of diabetes, having well-documented evidence of AMPK stimulation medicated glycemic efficacy. Hence, AMPK-based classification of antidiabetes medications provides a holistic unifying understanding of pharmacotherapy in diabetes. This classification is flexible with a scope for inclusion of promising agents of future. Pulmonary manifestations are seldom recognized as symptoms of storage disorders. The report describes the diagnostic journey in a 30-month-old male infant, born of a third-degree consanguineous marriage referred to our institute as severe persistent asthma. 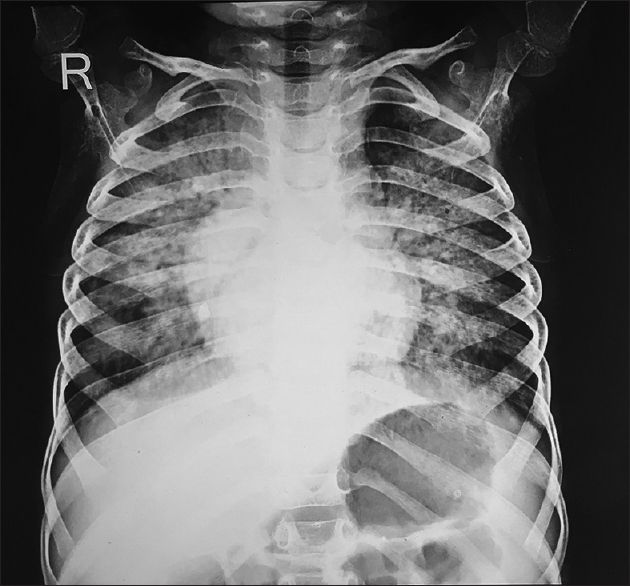 History revealed that the child had progressively worsening breathlessness and persistent dry cough not associated with fever but accompanied by weight loss. On physical examination, there was growth failure, respiratory distress, clubbing, hepatosplenomegaly, and occasional rhonchi. Blood gas revealed hypoxemia which improved with oxygen administration. Plain X-rays and high-resolution computed tomography of the chest showed perihilar alveolar infiltrates and patchy consolidation. The clinicoradiological features did not support a diagnosis of asthma but favored interstitial lung disease (ILD). Bronchoalveolar lavage was performed as a first-tier investigation. 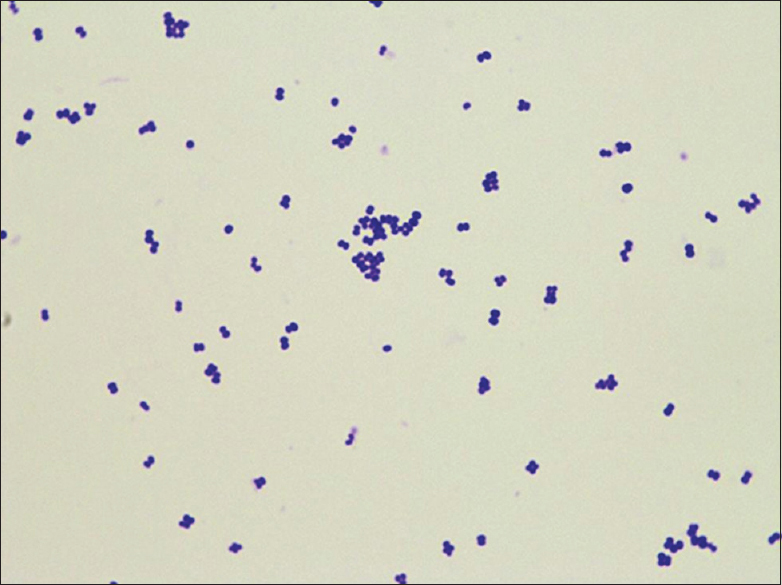 It showed periodic acid–Schiff-negative foamy macrophages. The clues of consanguinity, visceromegaly, ILD, and foamy macrophages in the bronchoalveolar fluid prompted consideration of lysosomal storage disorders as the likely etiology. Gaucher disease and Niemann–Pick disease A/B were ruled out by enzyme estimation. Niemann–Pick disease type C was suspected and confirmed by detecting a homozygous mutation in the NPC2 gene. This case serves to caution physicians against labeling breathlessness in every toddler as asthma. It emphasizes the importance of searching for tell-tale signs such as clubbing and extrapulmonary clues which point to a systemic disease such as lysosomal storage disorders as a primary etiology of chronic respiratory symptoms. Primary Sjögren's syndrome (pSS) primarily involves exocrine glands, and renal tubular acidosis (RTA) is seen in one-third of the cases. RTA with hypokalemic paralysis as a presenting feature of pSS is described in few case reports in literature. We report 13 cases who presented as hypokalemic paralysis, and on evaluation were diagnosed to be pSS, as per the diagnostic criteria laid by the Sjögren's International Collaborative Clinical Alliance (2012). All patients were female, with a mean age at presentation being 33.1 ± 8.22 years (range, 25–48 years). Eleven patients had a complete distal RTA and two patients had incomplete distal RTA at the time of presentation. 62% (8/13) of patients had no signs and symptoms of exocrine gland involvement. All the cases were managed with oral alkali therapy, and six patients received additional immunomodulating agents. No improvement in renal tubular dysfunction (in the form of a reduction in the alkali dose) after immunomodulating therapy was observed over a mean follow-up of 2.8 years. Renal tubular dysfunction can be the presenting manifestation of pSS. It is important to consider the possible presence of this disorder in adults with otherwise unexplained distal RTA or hypokalemia. Cosmetic tattooing has become a risk factor for several adverse reactions related to inks, procedures, and associated clinical conditions. Development of a sarcoid reaction to the inserted tattoo pigment in the skin is not common. 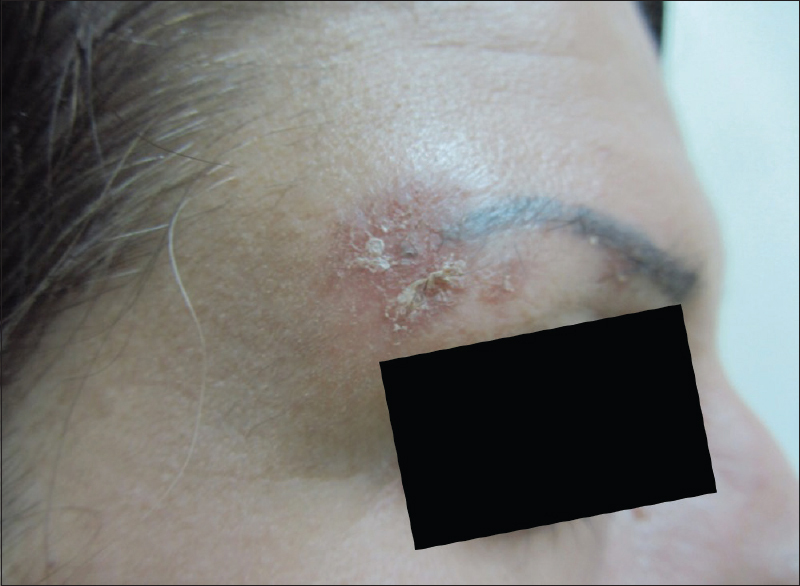 We report a 45 year-old patient with history of dyspnea and mild cough since two years who had subsequently developed reddish, scaly lesions in her 15-year old tattoo done near her right eyebrow. Skin biopsy of the tattoo lesion revealed cutaneous sarcoidosis which led to further investigations and a diagnosis of pulmonary sarcoidosis. The present case highlights the fact that cutaneous sarcoidosis can develop in a long-standing tattoo. Also such a patient should be screened for systemic sarcoidosis disease. Infective endocarditis still remains a dreaded illness among treating physicians because of the disease course, its need for meticulous antibiotic management, complications, and overall morbidity. Peripheral mycotic aneurysms are a rarely reported complication of infective endocarditis. Mycotic aneurysms occur in about 5%–10% of cases of infective endocarditis, and most of them involve the intracranial vessels. Here, we report a case of native valve endocarditis in a 74-year-old man caused by Kocuria rosea. He presented with septic shock and acute kidney injury. His illness was complicated by a right popliteal artery mycotic aneurysm. He was treated with intravenous ceftriaxone and vancomycin. The mycotic aneurysm needed aneurysmectomy and anastomosis with a graft.